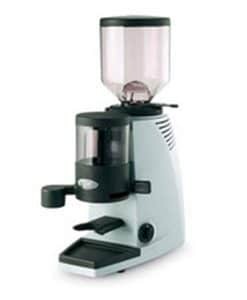 Mazzer’s Robur Coffee Grinder is an electronic grinder-doser equipped with heavy-duty conical grinding blades. 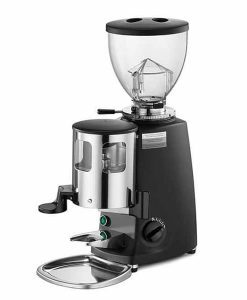 True to Mazzer’s reputation for rugged coffee grinders, grinder-dosers, and other coffee products, the Robur model is designed for a balanced combination of reliability and polished design. 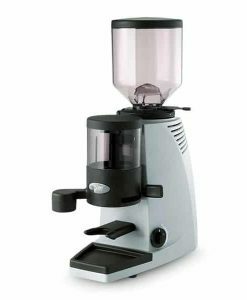 Mazzer’s Robur Coffee Grinder is an electronic grinder-doser equipped with heavy-duty conical grinding blades. 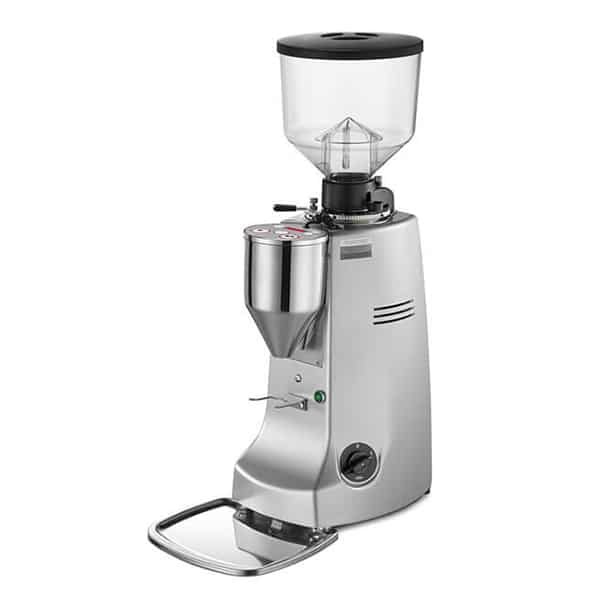 True to Mazzer’s reputation for rugged coffee grinders, grinder-dosers, and other coffee products, the Robur model is designed for a balanced combination of reliability and polished design. 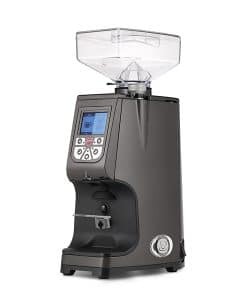 A “workhorse” of its product class, the Mazzer Robur Electronic Grinder features a simple display with an easy-to-use interface and clear press-button operation.With a high-capacity coffee bean container and 71mm grinding blades, the Robur is hardy enough to stand up to the demands of a busy coffee bar or restaurant. 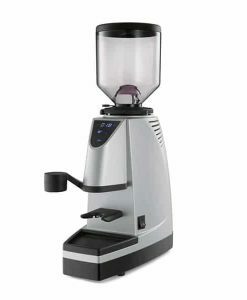 Likewise, the unit is easy enough for discerning coffee drinkers to use for home brewing.For high-volume grinding and brewing, the Robur features a built-in dosage counter. The LED digital display shows an intuitive and simple menu function, letting the barista view the current dosage. 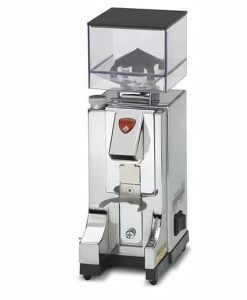 Stepless micrometrical adjustment makes it possible to fine-tune the dosage to the most exacting standards.Made in Italy by Mazzer Luigi, the grinder-doser has a sleek body with clean lines, making it ideally suited to crowded and busy coffee bar environments. A spill tray makes clean up easy, and a fork-style holder makes it easy to dispense freshly ground coffee. The built-in ventilator keeps the robust engine cool. The 1.8-kg transparent coffee bean container makes it easy to see the volume of available coffee beans at a glance. Single and double dosage possible. Grinding blades: Conical Ø 71 mm – 2¾ inches (ref. 186C). 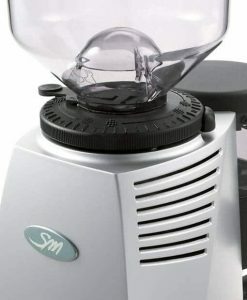 Grinding blade speed: 420 r.p.m. (50 Hz) – 500 r.p.m. (60 Hz). Coffee-bean container capacity: 1,8 kg. 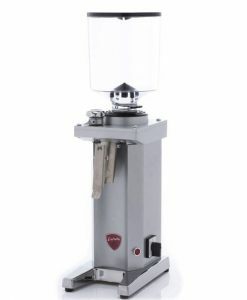 Dimensions (W x D x H): 240 mm x 263 mm x 650 mm.